In celebration of National Hamburger Day on May 28, 2014 what a better way to have a nutritional Monday post! 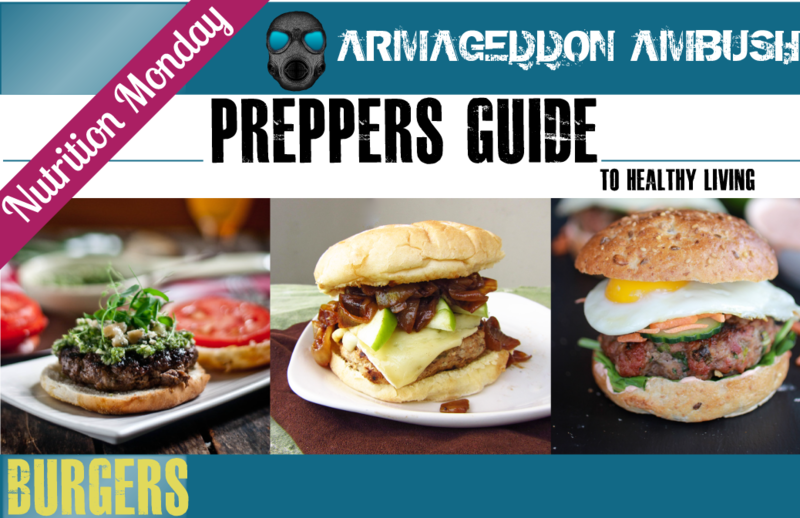 Since most of you will be grilling out on Memorial Day as well, we decided to give you 5 simple recipes to eat a healthier hamburger. In a bowl, combine yogurt, cucumbers, garlic and juice; set aside. In another bowl, mix beef, zucchini, feta, onion, marjoram, salt and pepper. Form beef mixture into four 3/4-inch-thick patties. Coat a grill pan or grill rack with cooking spray. Grill patties over medium-high heat, flipping once, about 5 minutes each side, until internal temperature reaches 160°. Divide roasted peppers evenly among bottom roll halves; top with 1 burger, 1/4 yogurt sauce and lettuce and cucumber, if desired. Top each with other half of roll. Grate the apples into a large bowl and add the rest of the ingredients. Use your hands to smush everything together until it’s just combined (try not to overmix). Form the meat into 4-5 patties and make a small indentation in the center (this helps the burger cook evenly). Sprinkle the patties with a bit more salt right before Cooking. Finding a quality bison is half the battle here. Choose a locally sourced meat from a butcher or market you trust. Place everything but the Parmesan, salt and pepper in a food processor and blend until smooth. Stir in the Parmesan, a pinch of salt and fresh pepper. Taste and adjust seasonings to your liking. Start by caramelizing the onions, as this step can take up to half an hour. Heat olive oil in a large skillet over medium heat. Add onions, stir to coat with oil, and season with salt and pepper. Spread onions out evenly across the pan and let cook, stirring occasionally, until onions are soft and caramelized, about 25-30 minutes. Don’t stir the onions too often so they can brown, but don’t leave them alone long enough to burn or stick to the pan. You may need to reduce the heat or add a splash of water to deglaze the pan a few times to prevent onions from burning. Once they’re done, set aside in a small bowl. This step can be done ahead of time and onions can be warmed up in the microwave before topping burger. Grate one apple for using in the turkey burger and keep the second apple aside for topping the burger later. Prepare turkey burgers by gently mixing ground turkey, grated apple, Dijon mustard, thyme, sage, and a sprinkle of salt and pepper in a bowl. Form into four patties, being careful not to overwork the mixture. Heat a large skillet over medium-high heat and spray with cooking spray or drizzle with oil. Cook turkey burgers until cooked through (center no longer pink, juices run clear, internal temperature of 165°F), about 5 minutes per side. Add 2 slices of brie cheese to each burger about 2-3 minutes before it’s done cooking so the brie can melt slightly. Thinly slice the second apple. Top each bun with a turkey burger (with brie), sliced apples, and caramelized onions. Place the ground chicken in a glass bowl. Add the fish sauce, lime juice, soy sauce, garlic, ginger, pepper, cilantro, and green onions. Mix just to combine the ingredients. Don’t over mix. Place the meat in the fridge for 30 minutes to marinate. Heat a large skillet over medium-high heat and add 1 tablespoon of sesame oil. Form the meat into 4 equal patties. They’re going to be wet, just do the best you can. They will firm up as they cook. Add the burger to the skillet and cook until they reach your desired doneness. I cook mine about 5 minutes per side, but it will depend on how thick you like your burgers (while the burgers were cooking I fried my eggs in a separate skillet). Per serving: 200 calories; 9 g fat (4 g sat, 4 g mono); 55 mg cholesterol; 9 g carbohydrates; 19 g protein; 1 g fiber; 343 mg sodium; 344 mg potassium. Season: April begins the season for California avocados, when they’re at their peak of flavor and lowest price. Florida avocados are right behind them, beginning in the summer. How to buy: A ripe avocado is just slightly pliant when gently pressed. How to store: Avocados ripen at room temperature—faster if you put them in a closed paper bag to capture the ethylene gas (which promotes ripening) given off by the fruit. To prevent browning of a cut avocado, spread the surface with lemon juice, lime juice, or vinegar. Refrigerate cut avocados in plastic wrap pressed directly onto the cut surface. When ready to eat, scrape off any discoloration; the flavor won’t be affected. To halve: Cut avocado in two lengthwise around its pit. Twist halves in opposite directions to separate them, and then pull apart. To pit: First, thrust the blade of a sharp paring knife into the pit. Then twist the knife gently to loosen the pit, and lift it out. To peel: Pull the skin off the flesh in strips with your fingers. When the fruit is very ripe, you can often remove the skin in one piece. You can also scoop the flesh out of the peel with a spoon. 1. MELT butter in a nonstick skillet on medium heat. Stir in eggs and spinach; add salt and pepper. 2. COOK, stirring, until the eggs are softly scrambled, about 2 minutes. 3. WRAP the eggs in warm corn tortillas. Top with sliced avocado and tomato salsa or salsa verde. 1. SOAK onion in small bowl of ice water to crisp. Peel oranges with knife, removing all of white pith. Cut crosswise into thin wheels. 2. PIT, peel, and slice avocados and put in medium bowl. Drain onion well and add to bowl along with oranges, olive oil, mint, lemon juice, and salt. Toss to coat. 1. COMBINE the rice and water in a medium saucepan and bring to a boil over medium-high heat. Reduce the heat to medium-low, cover, and simmer until the water is absorbed, about 20 minutes. Remove from the heat and let stand for 10 minutes. 2. COMBINE the vinegar and sugar in a small bowl and stir into the rice. Let stand for 15 minutes. 3. PLACE a bamboo sushi mat on a work surface. Place a sheet of nori on the mat with a long side closest to you. With slightly damp hands, spread ½ c of the rice on the nori, leaving a 1″ border along the top edge. Arrange 3 avocado slices end to end in a horizontal line about 1½” from the edge closest to you. Top with ⅙ of the crab. 4. GRASP the edges of the nori and the mat closest to you. Fold the bottom over the filling and roll up, jelly roll–style, pressing down slightly with each quarter turn. Seal the roll with a few drops of water or grains of rice on the edge of the nori. Repeat with the remaining ingredients to make six rolls. 5. TRANSFER the rolls to a cutting board. With a serrated knife dipped in hot water, cut each roll crosswise into six pieces. 6. SERVE with wasabi and soy on the side. ¹Information provided by http://www.prevention.com. For more great avocado recipes visit this page. We wanted to talk about Peanut allergies and give some insight you may not have known. Peanut allergies tend to be lifelong, although studies indicate that approximately 20 percent of children with peanut allergy do eventually outgrow their allergy. Younger siblings of children allergic to peanuts may be at increased risk for allergy to peanuts. Last but not least, it is important when dining out what kind of oil the restaurant or fast food chains cook in. At the time of writing this article we know that Chick-Fil- A, Five Guys Burgers, Cracker Barrel, & Red Lobster. ¹Sicherer SH, Munoz-Furlong A, Godbold JH, Sampson HA. US prevalence of self-reported peanut, tree nut, and sesame allergy: 11-year follow-up. J Allergy Clin Immunol 2010; 125(6):1322-6. [LINK to ADVANCING A CURE>FARE Research Grants>Selected Completed Studies > Sicherer, Prevalence of Peanut and Tree Nut Allergy in the United States] see also Sicherer SH, Munoz-Furlong A, Sampson HA. Prevalence of peanut and tree nut allergy in the United States determined by means of a random digit dial telephone survey: a 5-year follow-up study. J Allergy Clin Immunol 2003; 112(6):1203-7. The athlete ambassador program supports like-minded athletes who are respected leaders in their community. We are looking for outgoing and motivated athletes who want to share our event and become a member of our Ambush Army. These athletes believe in the Armageddon Ambush Mission and our brand’s core values. We support our ambassadors and promote them as they live the Ambush Army lifestyle recognizing them on their achievements in sport and life. An Armageddon ambassador not only pushes their own limits but also inspires those around them to do things they didn’t think possible, conquer fears, Inspire people they come in contact with, raise money for charity and help to change people’s lives. 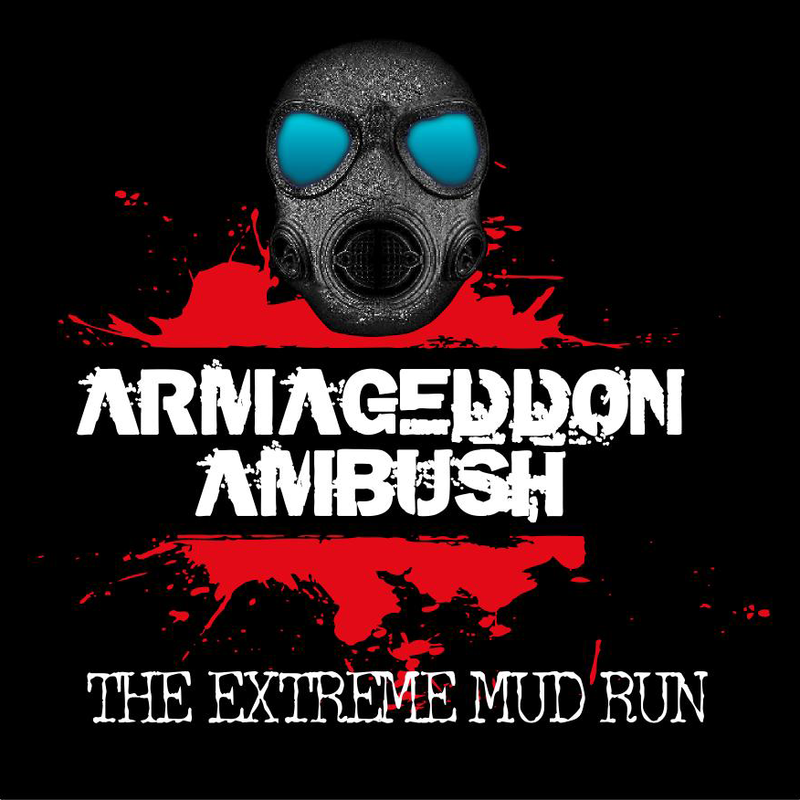 As an Ambassador, you play a key role in publicly promoting Armageddon Ambush Extreme Mudrun throughout the sport community while also serving as an ambassador in raising the profile of the organization and its values. As a brand ambassador you will be our eyes and ears in your market. Tap into the social and running communities and engage in conversations with our audience: those that run and those that will run for others. Post fliers, talk to businesses, universities, athletic stores and your friends! It’s a fun race and we want you to enjoy being a part of our Ambush Army. All Ambassadors will be outfitted in Armageddon swag. Ambassadors will be rewarded for the number of registrants that use their unique code. Armageddon Ambush accepts requests for ambassadorship throughout the year. Incentives for each person you get to sign up. Extend a discount to people you get signed up. Inside scoop on all things Armageddon Ambush. Get 250 people to register and get a brand new Macbook Air!